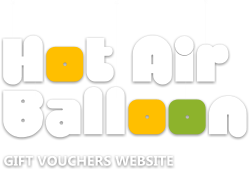 Our Hot Air Ballooning gift certificates are the ideal present for someone you love. 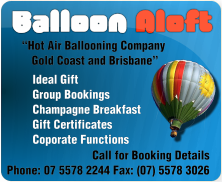 Give them a purely unique experience of hot air ballooning over Queensland’s magnificent Gold Coast Hinterland and Brisbane. Consider the thrill and excitement of floating with the clouds in an ultra quite hot air balloon. Soar high above the spectacular tapestry of landscapes and intertwining canals that make the Gold and Brisbane some of the most visually stunning hot air ballooning destinations in the world. Enjoy a scenic hot air balloon ride, a delicious breakfast and refreshing chilled champagne. This can be your chance to getaway and break the everyday cycle. Purchase your gift certificate today for yourself or someone close and enjoy the freedom of an open dated gift certificate.